This month, SchoolNet SA is delighted to offer teachers an opportunity to attend a free Saturday YouthSpark Workshop, sponsored by Microsoft Philanthropies. 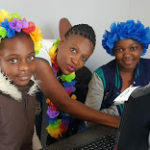 The aim of these workshops is to equip teachers with some skills and free tools that they can use to introduce their learners to computer science concepts – even if they don’t have a computer science background. Workshops will be taking place in Elsie’s River and Observatory in the Western Cape and Waterval Boven, Emalahleni and Siyabuswa in Mpumalanga. Find the dates, venues and registration links for the workshops by reading the blog posts for the Cape Town and Nkangala sessions. The workshops are offered at no cost to teachers, however teachers must register to attend and places are limited.